After four year’s writing in the Brentford FC match day programme (‘Where Are They Now’ player interviews and ‘The Last Word’) I found those columns ‘dropped’ as the club decided to take a ‘new direction’ with their matchday publication. It happens. So instead, I looked to continue them online, here, with my ongoing take on everything happening around Griffin Park and the football leagues. I support Brentford, unquestionably, although if something needs saying it then I’ll say it – good or bad. There’s no ‘clubspeak’. This is 100% independent of the football club and, as such, 100% unedited by them. These aren’t the views of anybody but myself – a supporter of Brentford FC for close to 35 years. Beginning at the start of the 2013/14 season, to say that events on, and off, the pitch has been interesting for this small West London club would be somewhat of an understatement. As such, initial attempts to publish just twice a week, in the build up to (and fall out from) every game, soon fell by the wayside as the Bees have found themselves involved in two epic promotion campaigns. Such was the way that events have overtaken that not only does the column now have an almost daily run – quantity is not a guarantee of quality – but it has also been turned into an e-book: Celebrating like they’d won the FA Cup (just don’t mention that penalty) . 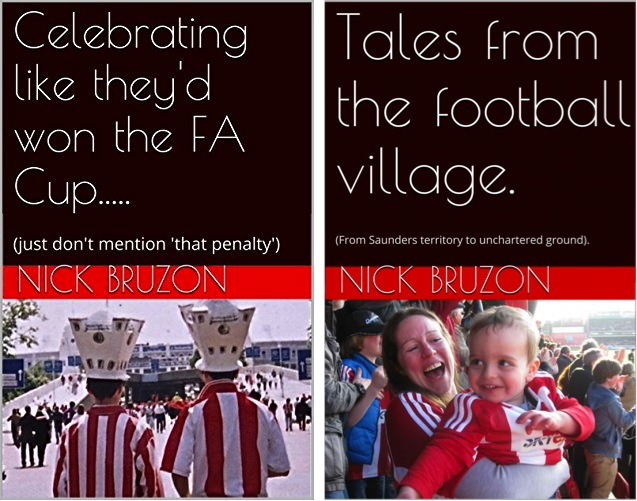 Both are still available from the Amazon store, should you want to catch up on all that has happened to Brentford over these last few seasons.…..through the eyes of a supporter. And otherwise, the regular stuff can be found on this site, most days of the week. So please, have a read and if you like what you see – leave a comment or something. I was wondering if I could ask you a few questions about the latest news regarding Brentford & Lewis Macleod?